City representatives from across Africa, experts, clients and partners attending Resilience Planning Workshop in Durban, South Africa. Peter Nyong'o, Governor of Kisumu, pitches his investment project in a "Shark Tank" event during the Financial Solutions for Cities Resilience Conference. By 2030, without signiﬁcant investment into making cities more resilient, natural disasters may cost cities worldwide $314 billion each year, and climate change may push up to 77 million more urban residents into poverty. The City Resilience Program aims to empower cities to pursue comprehensive investment programs to strengthen resilience, and to access a broad range of ﬁnancing options. 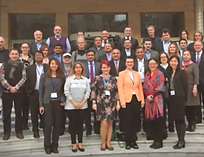 CRP's first partner meeting takes place in Bern, Switzerland in collaboration with SECO. Meeting discussed CRP's program development and results achieved over the past year, lessons learned, and strategies moving forward. The Second Financial Solutions for City Resilience brought together delegates from 20 cities, World Bank task team leaders and financial advisors. Built on experiences and feedback from the first conference, this second conference is better tailored towards city needs. Join us at the stunning Palacio de Minería for the fifth global UR forum. UR is a global community of 7,000+ experts and practitioners active in the creation, communication, and use of disaster risk information. The community convenes every two years at UR Forums – five-day events that highlight groundbreaking work, facilitate nontraditional partnerships, and showcase new technical know-how in disaster risk identification. The theme of this year's forum is communicating risk. Cities want to build resilience. Markets are looking for investment opportunities.  How can we bring them together? To investigate how cities can better access non-traditional sources of financing for resilience, and thereby enable investors to enter new markets, this event will showcase key issues faced by major global cities in building their resilience, and give the audience a front-row seat to insights from investors on cities can attract the resources they need for success. Stream live online. The City Resilience Program showcased their work and won the “People’s Choice Award” for the best KSB. New York Times article: "The World Bank Is Remaking Itself as a Creature of Wall Street"
Jim Yong Kim, the World Bank’s president, is trying to revitalize the Institution. His reform ideas are mainly characterized by his ambition to crowd in private investors — sovereign wealth funds, private equity firms and insurance companies — to pony up trillions of dollars for projects, instead of relying on traditional donor money from developed countries. At the Paris Environment Summit, President Kim presented some of World Bank's "deals" to secure financing with private support. The City Resilience Program was one of them. CRP's Resilient Transport Working Group convened a one-week workshop with twelve client countries and Transport GP Task Team Leaders. The workshop discussed how TTLs can can integrate the four phases life cycles approach to build disaster resilience infrastructure. and the resilience of their transport networks. Reuters article: "World Bank invests $4.5 billion to arm cities against climate change"
This Reuters article specifically reported on the City Resilience Program following the Paris One Planet Summit, emphasizing how CRP, as an innovative initiative, will help make resilience projects "bankable" and attract additional financial resources. The City Resilience Program was introduced by President Kim during the One Planet Summit, as one of the World Bank Groups's twelve "Transformative Twelve" "Deal Hub" program that provides innovative solutions to crowd in investments to scale up climate action. The government of Panama City and Porto Alegre, along with their CRP counterparts, also presented their cities' investment opportunities during the summit. 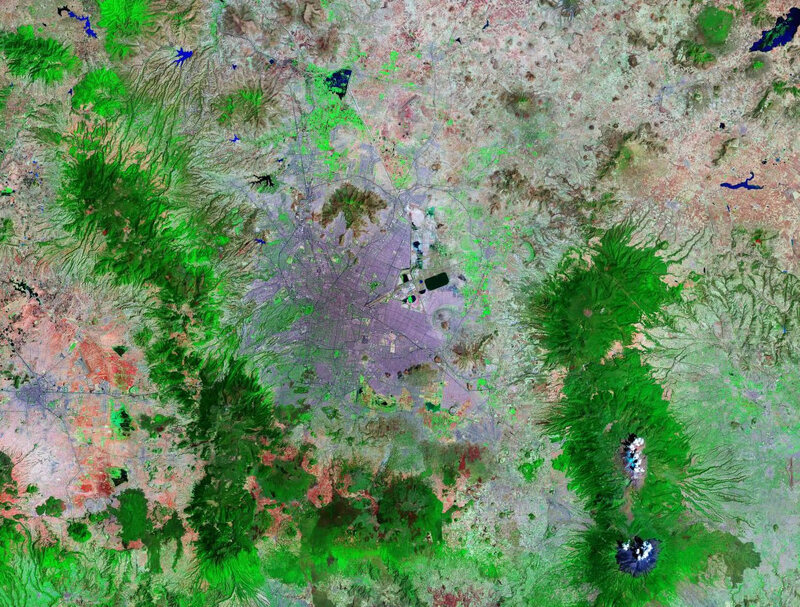 Rapid urbanization has presented city leaders with an unprecedented challenge. Cities need to provide not only basic services to the growing population, but also remain resilient in order to weather the growing threat from climate change and natural disasters. 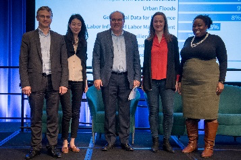 The City Resilience Program provides innovative solutions to financing urban resilience, which was discussed during the Financial Solutions for City Resilience Conference. 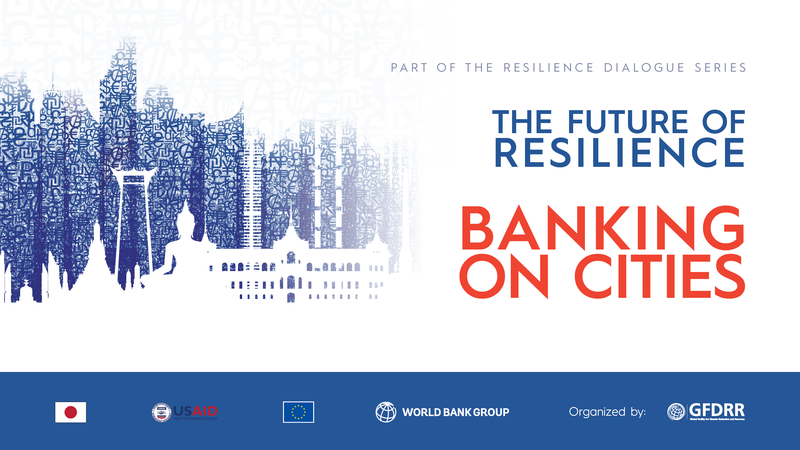 The Comprehensive Financial Solutions for City Resilience Conference, organized by the World Bank Group’s City Resilience Program, brought together city officials, private sector experts, donors, and investors to prepare for ambitious investments in urban resilience. The aim of the conference was to allow city leaders think through innovative ways to crowd in private sector resources to invest in urban resilience.